“The Ostionoids” by Basil A. Reid, Ph.D.
"The Ostionoids" by Basil A. Reid, Ph.D.
Reid is Lecturer in Archaeology at the University of the West Indies in Mona, Jamaica. He is the the author of Myths and Realities of Caribbean History (2009). Some history books refer to the Arawaks and Caribs as the two major groups to have colonized the Caribbean. However, archaeological research has pointed to the presence of multiple cultural groups in the region before 1492, namely the Casimiroid, Ortoioroid, Saladoid, Barrancoid, Troumassan Troumassoid, Suazan Troumassoid, and Ostionoid peoples. Caribbean archaeologists have designated these various groups based on the names of sites where artifacts associated with the groups were first identified. 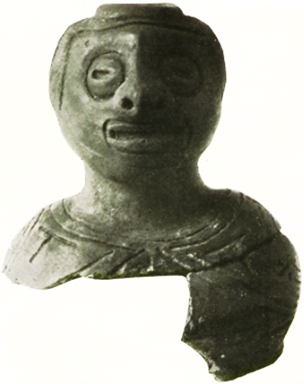 Named after the Ostiones site in Puerto Rico, the Ostionoids developed in the northern Caribbean from A.D. 600 to 1200 and by A.D. 1200 had evolved into the Taínos whom Columbus encountered in the northern Caribbean in 1492. The origins of the Ostionoids are still being debated. It was once assumed that all Ostionoids evolved from the Saladoids on Puerto Rico with possible influences from Archaic communities in eastern Hispaniola. However, new evidence indicates that the Ostionoids primarily evolved from Casimiroid (Archaic) peoples who had migrated from Central America to Cuba and Hispaniola. Ostionan pottery is characterized by simple black smudging, very basic modeling, and an orange red slip applied to the whole of the typically thin and hard ceramic vessel. It is widely referred to as redware. The Meillacan succeeded the Ostionan people in the Cibao valley of northern Hispaniola. 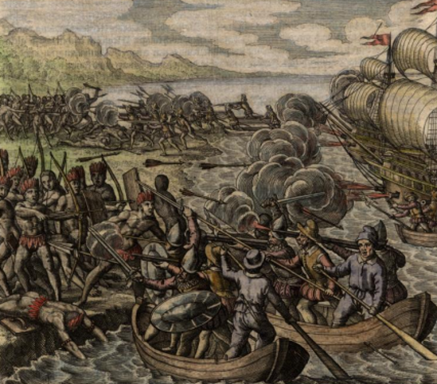 About A.D. 800, the Meillacan people moved into Jamaica and Cuba, following the trail of their Ostiones forebears. The Meillacan people made unpainted pottery, often decorated with rectilinear incisions, crosshatched designs, punctuations, appliqué clay ridges, and small geometric and zoomorphic lugs.